A wide range of professional scissors for the kitchen, for the fabric and for the manicure and pedicure. All the scissors sold by the Collini Cutlery in Busto Arsizio are checked before shipping from their internal sharpening laboratory. Professional weaving scissors, curved. Made in Italy. Made of chrome-plated carbon steel, guaranteeing precision and duration of use. Handcrafted in Japan, near Osaka, are made with the same procedures with which they were produced more than 500 years ago. Compact, very quick to use and incredibly robust, these scissors designed specifically for the care and maintenance of Bonsai prove an indispensable tool for ensuring daily defoliation control and accuracy during cutting, even in dense foliage. Their conformation rear spring ensures rapid use extreme without straining the user. The term defoliation is the process of partial or total elimination of the leaves in deciduous species. In addition to reducing the size of the leaves, this technique is also applied to increase the branching inner end on the shaft with the structure already formed. Scissors stainless steel 19 cm - tailoring Working Scissors Suitable for professional and private use - Stainless steel - Large size - Total length 19 cm - Best quality. The blades have a notch for cutting small diameter wire without damaging the cutting edge. The dry blade allows you to cut vegetables, without the risk of gluing the blade. It saves time and makes pruning easier by removing sap and dirt after each cut. Lightness, strength and rigidity due to an aluminum alloy and the process of shaping the material with precision molding perfectly controlled by FELCO. Parts with a lifetime guarantee *. 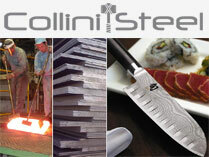 To ensure perfect cutting, Collini Cutlery with his lab sharpening internal controls and audits each instrument sold. The adjusting device of FELCO guarantees throughout the life of an optimal adjustment of the cutting head, allowing for a clean and precise cut. The sash and reduce the shock impact at the end of the cut, protecting hand and wrist. We recommend that you clean your tool after each use. If your tool is particularly dirty or subject to rusting after exposure to moisture, do not delay cleaning. After cleaning, it is advisable to oil the tool to protect it from corrosion. The oil will also unlock in the event of a paper jam. Is advisable to sharpen your tool at least once a day, but if you think not cutting as well as usual, sharpen it right away! Is advisable to dismantle your tool on a regular basis, and at the latest when it appears to be jammed. Oster - Professional Dog Grooming Shears straight 8-inch blade - 78799-430 - scissor Oster Blue Titanium Shears - Professional Dog Grooming Shears - Size: 8 Inch Professional scissors made of stainless steel with titanium coating "ice tempered", specifically designed for thinning and shearing of animals. Blade length 10.5 cm. Total length 21cm. Global - GS104 - 3-piece scissor set, peeler and stand GK-210 + GS-76 + stand Global GS 104 set composed of the Global Gks 210 scissors, the Global Gs 76 Peeler and a handy support. Above all, Global GS -76 Multipurpose kitchen peeler made of stainless steel with 5 cm blade. Excellent cutting of the blade, you can peel and peel for a long time in long-lasting safety of the wire. Global kitchen scissors. After many years, Global has finally added a pair of high quality multi-purpose scissors! Manufactured in precious stainless steel. Global design badge. It has lowered the position of the fulcrum, to improve the lever and the cutting power. Finely serrated blade for a better grip. Hygienic and easy to clean. Maintenance instructions: Global kitchen scissors, which will last a lifetime. Here are some useful tips to ensure your life for a long time and without problems: To maintain a good functioning all the cutting surfaces of the blade must be cleaned carefully. Hand wash with a mild detergent and warm water and dry with a soft cloth. GLOBAL TRADITION These kitchen scissors embody the high quality Japanese craftsmanship demanded by the company YOSHIKIN, proud producers of Global kitchen knives. Wilton - Waves Cut Decorative Scissors Create hand-cut edible shapes with a fun decorative edge Scissors (2-3/4 by 6-1/2-inch) cut edges with a waves pattern Ideal for use with wilton sugar sheets, gum paste or rolled fondant Stainless steel blades lock . Kuchenprofi - Herbal scissors Scissors for herbs 3 blades Ideal for quickly chopping parsley, basil and other herbs. Features: Blade: Stainless Steel Non-slip handles. Available in red, green, orange. These pruning shears fast and lightweight, easy to handle , are recommended for all pruning work intensive . The new shape of the tool ensures easy access to the branches to be cut. The cutting head ensures a clean and precise cut with diameters up to 30 mm. Controlled and powered by its Powerpack , FELCO 880 , the set FELCO 801 , a result of ergonomics designed with great attention, provides comfort to the muscles of the arm and shoulder , all the time it takes in the work of pruning. The body of the tool allows to change and use a variety of head types ( 800F , 800M ) . Tool body that allows to adapt more cutting heads , including the cutting head end 800F , ideal for cutting up to 20 mm in diameter. The mode of semi- opening accelerates the cuts of small diameter . The stand-by mode can be activated in the event of transfers, thus ensuring greater safety. Turning off the progressive closure of the blade you can restore cutting style tire. The adjusting device of FELCO guarantees throughout the life of an optimal adjustment of the cutting head , allowing for a clean and precise cut . The bolt grease ensures a simple and efficient lubrication of the cutting head without having to disassemble the tool . The compact design of the pruning shears and specific form of the cutting head allows easy access to the branches that need to be cut . The ideal diameter of the tool body , the dock on synthetic anti -slip and the lever swivel ensure optimum grip . Lightweight , strong and sturdy thanks to special aluminum alloys and the process perfectly mastered by FELCO of the material through forging precision . Possible use of one or two batteries in parallel or in series , according to the needs . The battery , ultra-light and fine, it is entirely independent of the control box . Strong, rapid, user-friendly, efficient and reliable, this model is suited to heavy pruning work. The FELCO 820 enables easy, clean and accurate cutting of hardwood, of up to 45 mm in diameter, ensuring primarily, a significant productivity increase. Multipurpose, it is the ideal tool for arboriculture, forestry work, the upkeep of parks and gardens and for some types of viticulture work. Controlled and powered by its Powerpack, FELCO 880 includes a battery and charger, the FELCO 820 set, a result of carefully studied ergonomics, providing relief to arm and shoulder muscles, throughout the entire day spent pruning. Cutting head pull-stroke, ideal for arboriculture, forestry, the maintenance of parks and gardens, and for some jobs in viticulture. The mode of semi-opening accelerates the cuts of small diameter. The bolt grease ensures a simple and efficient lubrication of the cutting head without having to disassemble the tool. The locking system of the blade pressure provides extreme cutting power. The ideal diameter of the tool body, the dock on synthetic anti-slip and the lever swivel ensure optimum grip. Lightweight, strong and sturdy thanks to special aluminum alloys and the process perfectly mastered by FELCO of the material through forging precision. Felco - garden shears "Essentiel. High resistance polymer loaded fiberglass. To reduce the risk of musculoskeletal disorders and increase the ease of use, the cutting head is tilted. Included nylon sheath for transport, equipped with steel clip for attaching to your belt. Leatherman Raptor provides the tools necessary for professionals to operate in a safe and fast times of emergency medical situations. Developed with the support of the military and health care workers, paramedics and firemen, the Raptor has the right balance of features for multi-purpose use specific doctor, without falling into an excess of tools that could sometimes complicate situations of extreme emergency. When it comes to a question of survival, the Raptor answer loud and clear. Professional Hairdressing Scissors 5.5 "
Professional Hairdressing Scissors 5 "
Scissors cut hair by Salon Professional 6.5 "
Scissors Thinning mod. Style by Salon Professional 5.5 "
Professional scissors weaving, straight. Made in Italy. Compact, simple and incredibly robust, these scissors designed specifically for the care and maintenance of Bonsai are good substitutes to traditional cutters garantnedo much more control and accuracy during cutting, even in dense foliage. Great for working on twigs and buds and whenever necessary carry out meticulous and delicate. Their grip handle long and open makes handling easy during use and clean and precise cut of these specific bonsai scissors avoids crushing the branch, thus protecting it from necrosis. Spacious and safe to use, but incredibly sturdy, these scissors designed specifically for the care and maintenance of Bonsai are good substitutes to traditional cutters providing much more control and accuracy during cutting, even in dense foliage. Great for working on the roots, but also on twigs and buds and whenever it is necessary to carry out painstaking and delicate. Their wide-grip handle provides maximum security and control during use and clean and precise cut of these specific bonsai scissors avoids crush the roots and branches, thus preserving them from necrosis. Handle: 9.5cm long and 10cm wide. Made in Italy - Scissors Jubilee. The key that opens the door of 2000? And where else but in Premana could be manufactured scissor reminiscent of the Jubilee Year 2000? Already in 1925 and 1950 came from the workshops of this country some of scissors models that resembled the Holy Year; these models can now look at the Ethnographic Museum in Premana. This model represents the best in line and quality produced in Premana, land of ancient tradition and steel up Italian center for the production of cutting tools of all kinds. Type of the scissors: - Carbon steel - Hardened, nickel-plated - Black screw - 24 carat gold plating gold stems - Golden brass medallion engraved with John Paul II. Scissors Multipurpose Collapsible This article is characterized by the excellent quality and purity of the stainless steel used for a precise cut and thin together with a good durability of the wire. The handles also ensure a secure and comfortable grip combined with maximum hygiene. Total length cm 10:50. Blade length: 3.50 cm. Scissor is available with a green case.